Please apply to be considered for a free conference place by emailing me (secretary@basa.uk.com) with a short (no more than 300 words) précis of why you feel you would benefit from attending the conference. The free conference place includes the hotel cost, travel cost and conference fees. Attached is a presentation giving details of the event and BASA Council will review all applications and will decide the 2 winners based on their opinion of the persons who will benefit most form the experience. The closing date for applications is June 7th and the 2 winners will be selected at the Council meeting o June 10th, the day before the BASA Sports Day. The winners will be asked to arrange their travel/flights themselves and send FEICA a copy of their expenses. Return flights in economy from any European airport to Dubrovnik will be reimbursed after the event. 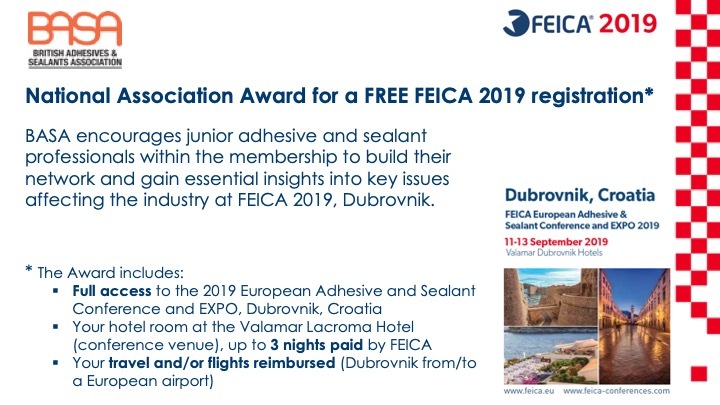 More details about the programme will be available on www.feica-conferences.com as and when it becomes available.